Cindy is a Licensed Independent Clinical Social Worker who has been working in mental health services for over 25 years. She completed her graduate training at Augsburg College, and has worked in a variety of settings including, experiential and high-adventure camps, residential and day treatment settings, inpatient and outpatient treatment settings, Clara’s House, and providing outpatient mental health services through the Behavioral Health Clinic at Centracare. She has been in private practice for 5 years. Through her personal and professional studies in yoga and mindfulness Cindy has worked to incorporate these practices into her mental health practice. SShe works collaboratively with Children’s Therapy Works, to create an environment that incorporates body recovery in conjunction with mental health services. 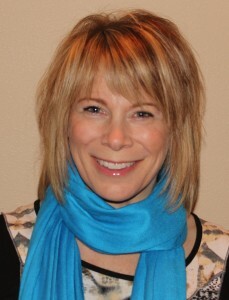 She is passionate about prevention, and assisting children and families in optimizing their health on every level. She enjoys working with a wide variety of life ages/stages and related life challenges that can arise. She continues to pursue continuing education in evidence based practices with a special interest in the area of trauma recovery, neuroplasticity, and mind/body practices to attain optimal recovery and life functioning following loss/trauma. Cindy is also a mother and understands the challenges that come with raising children and balancing personal and professional careers with self-care. She is excited to continue coordinating with community resources with the goal of increasing client independence in managing their overall well-being and achieving optimal recovery.